Orange (and Mauritius Telecom), have just announced our Christmas gift for the year 2010: ADSL users can expect a reduction in prices and MyT users will see their current speed doubled. The changes will start taking effect as from 1st December 2010. Update 0: I put this as Update Zero because it’s most important: MyT Users with NO TV option will get neither speed boost NOR price cut, as confirmed on TheMediaGuru’s comment section. You will have to pay Rs. 999 (Rs. 151 extra!) if you want more speed. Update 1: According to the user “Sab” on TheMediaGuru’s article (see link below), there won’t be any speed boosts for ADSL users, only the Rs. 100 reduction in prices. Update 2: The price decrease / speed boosting is not pleasing everybody. There are some complaints coming from Jeyen Chellum and ACIM that Orange has done something weird or how it was ICTA’s role to announce the price cuts. I’ll admit, I didn’t understand what the problem was myself. Moreover, commenters on the L’Express article would prefer a price-cut over a speed boost. I personally prefer a speed boost over a price cut. I am opening a poll for you to answer this question. MyT will also offer 3 new channels – Boing, MCM Top and Motor TV and add more titles to its Video on Demand service. There is no word yet on whether the speed doubling will be applied to existing ADSL users (like me). I hope the Christmas gift comes to us ADSL users too. I’ll update this article as more details surface. If you have any more information, please do share! Hat-tip to TheMediaGuru for sharing the initial news. what about existing users of ADSL HOME 1MB? will the price be reduced by Rs 100? nothing is mentioned for 1MB ADSL. Nothing yet on the 1Mbps ADSL. No reduction, no speed boost, nothing. 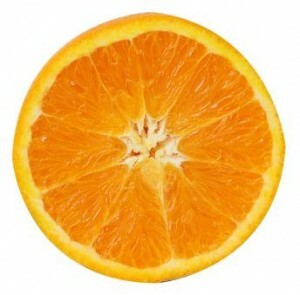 Let’s hope Orange hasn’t forgotten us, as you say. I’ve also got ADSL 512…. Do anyone know the price fall for ADSL Home 1MB? seriously if it’s only Rs 100, orange is joking with us..
well well Mr. Inf… nice blog! X) and clarel, myT is doubling the speed as from tomorrow. but unlucky us we wont be getting 4mb connection locally as ive been calculating on my way home from hearing the news on the radio….it shall stay at a 2mb connection locally. @Jens: Logically, it’s Rs. 100 decrease too. I’m considering migrating to MyT 2Mbps. It’s more expensive than my current ADSL package. Something weird though. Orange says they can’t upgrade ADSL lines due to noise or some other limitation. How come ADSL Business 2Mbps is offered then? I’d like someone to enlighten me on that. so i’m not eligible to my.T 4 Mb. with a relative’s phone number, and the latter is eligible to all packages 1 -4 MB. well i was hoping for some 4mb con local! but 1mb is BETTER compared to 512k, we can all agree to that. and there’ll be a slight improvement on streaming too. @Jotish: Nay, not sponsored by Orange. Ripped off by them, probably! I’ve not played Black Ops, so I can’t comment on it… yet! But it’s developed by Treyarch studios. They did good work on CoD World at War, but it’s not comparable to Modern Warfare’s level. I don’t have high hopes. hats off man! great blog, great posts! i havent played world at war…but yeah MOD WAR is ultimately the best COD released, particularly the 1st one. do you recall the chernobyl mission? X) wicked awesome huh? And the Chernobyl mission is awesome! And what a finale! 1st December is nearly over and most of the myT residents in the north still haven’t get their speed boost. Some like me have their speed being halved. Max speed is 295 kbps ( myT 1mbps). I wonder if ever Orange Mauritius will provide us with a decent and QUALITY service. In the mean time #ORANGEMAURITIUSFAIL . . .
That fails so hard, Tushal! Speed decrease, lol! FUP (aka Capping) no longer “officially” applies to new MyT (post speed boost)… See update. hacker16792@live.com, contact me if you need help to increase your (A)DSL connection or Broadland(MyT) connection!!! Inf, my speed is always ubber crap in a fix time period. And now during the holidays, the time period has been extended to a great extent. The only way I can make full use of my connection is by launching parallel downloads on IDM. i’ve been hearing about the boost in speed of myT for about a month and some of my mates already have had their net speed increased. but my speed is still 54.0 Mbps. I’ve the rs 1000 package inc TV option. ive also heard that the speed boost is based on regionalisation, meaning that not everywhere the speed will be boosted. Is there anything I can do to increase my net speed? 54.0Mbps is not the speed of your internet connection..
to see the speed of your internet connection.